Home / FAQs / FAQ: How do naturopathic doctors empower people to take charge of their health? FAQ: How do naturopathic doctors empower people to take charge of their health? * Naturopathic doctors work to identify the underlying causes of illness and develop personalized treatment plans to address them. * Naturopathic doctors focus on prevention and empowering you to make lifestyle changes. 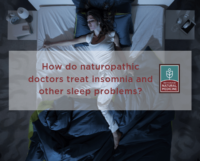 * Naturopathic doctors often spend 30-90 minutes with you and also want you to interact with them to make sure you thoroughly understand your overall health, chronic issues you might have, or diseases for which you might be at risk. * Naturopathic doctors work closely with you over time to help ensure your success. In addition to diagnosing and treating illness, licensed naturopathic doctors are uniquely educated and trained to treat the whole person, to focus on prevention, and to empower patients to make lifestyle changes in order to achieve optimal health. This attention to patient-centered care is especially valuable when it comes to the prevention and treatment of chronic illnesses such as heart disease, hypertension, and diabetes. Among US adults, 90% of Type 2 diabetes, 80% of cardiovascular disease, 70% of stroke, 70% of colon cancer are potentially preventable by modifiable lifestyle changes. Research has shown that for many people, these conditions can be prevented or better managed through dietary and lifestyle changes—treatments that require patients to actively participate in their own care. With compelling evidence of the value of actively participating in our own health, why doesn’t everyone do it? There are many reasons, but one stands out: it’s human nature to want a quick fix, and taking charge of your own health takes time and work. Naturopathic doctors address both the symptoms of illness and also the underlying cause. Naturopathic doctors work to identify the underlying causes of illness and develop personalized treatment plans to address them. 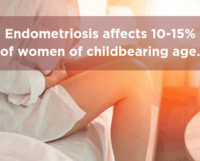 They believe you know your body better than anyone else, and will ask you detailed questions not only about your symptoms but also about your environment, living situation, mental health, and family history in order to understand what might be causing your symptoms. 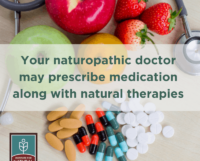 Naturopathic doctors will use diagnostic tools such as detailed health, disease, and prescription drug histories, physical exams, and targeted laboratory testing and imaging when assessing your needs. Then, when a treatment plan is being considered, naturopathic doctors will want to make sure you know your options and will collaborate with you on decisions regarding your care. Naturopathic doctors will want to make sure you know your options and will collaborate with you on decisions regarding your care. An important underlying principle of naturopathic medicine is “doctor as teacher.” Naturopathic doctors will often spend 30-90 minutes with their patients and also want you to ask questions and interact with them to make sure you thoroughly understand your overall health, chronic issues you might have, or diseases for which you might be at risk. Be prepared to ask questions of your own, engage in a dialogue about your health, and participate in decision-making about treatment options. Bottom line, what you choose to do can make as much or more of a difference to your health than any decisions even the most knowledgeable and skilled naturopathic doctor might make for you.